Freshman Republican and chosen successor of retired five-term Republican Assemblyman Lynn Stewart. Represents Henderson-area District 22, which lies south of the 215 Beltway and St. Rose Parkway and includes Green Valley Ranch and portions of the Anthem community. District 22 leans Republican (40 percent Republican, 34 percent Democrat, 20 percent nonpartisan in 2016 election). Pickard won 56 percent of the vote in the 2016 primary, defeating Republican activist and software engineer Richard Bunce. Pickard won 59 percent of the vote in the 2016 general election against Democrat Luis Aguirre-Insua, an insurance company general manager who was not endorsed by the Assembly Democratic Caucus. Serving on Corrections, Parole, and Probation; Education; Judiciary; Taxation committees in the 2017 session. Keith Pickard was born in Long Beach, California in 1962 and moved at the age of 5 to Portland, OR. His father was a petroleum chemist and his mother was “a proud stay-at-home mom who encouraged her children to work hard and reach for their dreams,” he said. 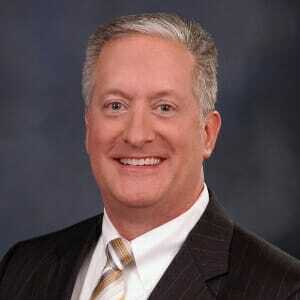 Pickard, who has a twin brother and two older brothers, graduated from Brigham Young University in 1990 with a bachelor’s degree in construction management and earned a law degree in 2011 from UNLV’s William S. Boyd School of Law. He’s married to Margaret Pickard, a family law attorney and expert on high-conflict custody matters who works as a Juvenile Hearing Master for the Eighth Judicial District Court. Together they have seven children. His interests include competitive shooting, reading, woodworking, soccer, cooking and visiting historical sites throughout the United States. Pickard was a high school teacher from 1990 to 1992 before working as a licensed contractor, real estate developer and real estate broker. He is the founding partner at Nevada Family Law Group, a Henderson law firm focused on complex divorce cases, custody disputes and real estate law. As a lobbyist during the 2015 Nevada legislative session, he crafted AB 263, which aimed to level the playing field for parents seeking parenting-time with their children and sought to make custody and relocation cases more predictable. Gov. Brian Sandoval signed the measure into law. Pickard is also involved in various government affairs efforts within the legal community. Does anything embarrass you about Nevada? 1) Education innovation and improvement; (2) job creation; and (3) continuing my efforts of making laws affecting families more fair and predictable. Should we raise taxes, and under what circumstances? What might we cut in the budget? How do you plan to diversify Nevada’s economy and create more jobs? What should we do next on solar? What should Nevada’s next step be on the stalled Education Savings Account program? What should Nevada’s minimum wage be? $7.25 an hour across the board. Will you work across the aisle, and on what issues? Where do you stand on recreational marijuana? Pickard opposed the legalization of recreational marijuana, describing pot as an addictive substance that’s considered a gateway drug within the treatment community. “As a volunteer in an addiction recovery program, I see first hand the trouble that attends the recreational use of marijuana,” he told the Las Vegas Review-Journal before he was elected. Do you support expanded gun background checks? Pickard told the Las Vegas Review-Journal that he opposed Question 1, an expansion of gun background checks to private party sales and transfers, because the system couldn’t handle the increased load. “Unless and until we have a system in place that can adequately handle the traffic, delivers accurate and complete information, and does so in a timely fashion, such a requirement will be a restriction, if not a total bar, on purchases of otherwise legal firearms, which is anathema to our Constitution which I have sworn to uphold,” he said. How does Nevada improve its poorly ranked education system? Pickard said Nevada needs to stay the course on the education programs authorized during the 2015 legislative session if it wants to rise above its last-in-the nation status. This post was updated Jan. 19, 2017 to add Pickard’s stance on energy issues. It also updates information on his wife’s job, his real estate work and the name of his law practice, which was drawn from his campaign website but has recently changed.